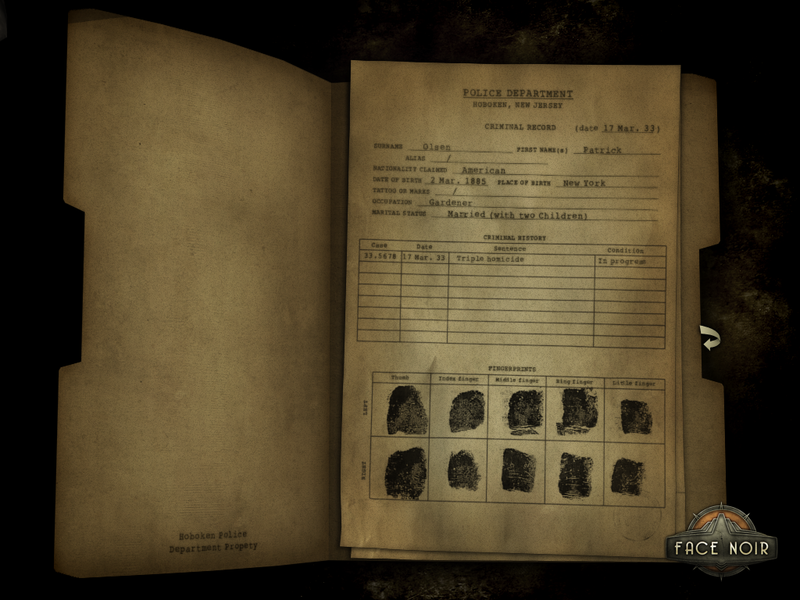 Review: Face Noir – Dannazione! Face Noir was originally released in 2012 in Italy and Germany and was developed by the Italian indie studio Mad Orange. It is now making its way to more countries with the help of Phoenix Online Publishing, the team behind The Silver Lining and Cognition: An Erica Reed Thriller. The game now has full English localization, and based on player feedback from the European game, this version has had its user interface updated, pixel hunts eliminated, and some puzzles tweaked. 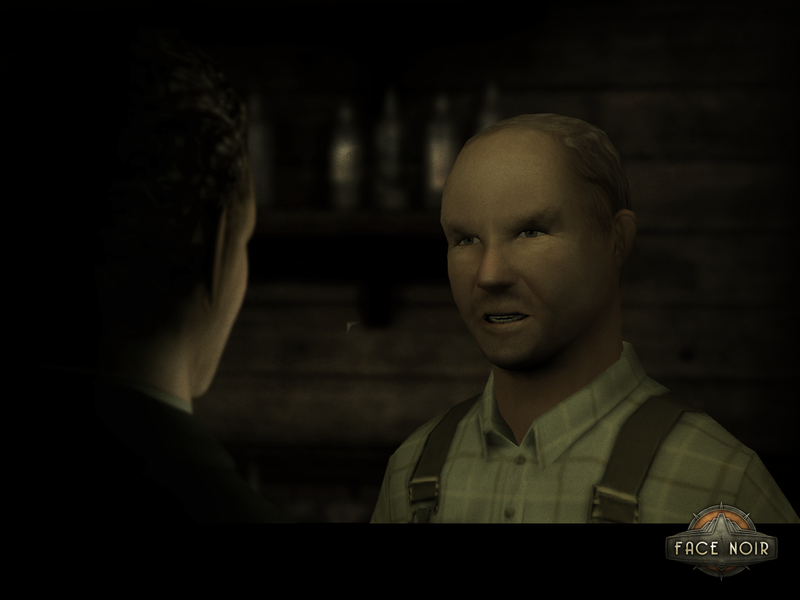 A moody tale that combines the intrigue and atmosphere of a Raymond Chandler novel or Humphrey Bogart film with classic point-and-click adventure gameplay, Face Noir follows private eye Jack del Nero as he’s falsely accused of murdering the man who left a little girl in his protection. As Jack tries to figure out who she is and clear his name, the disillusioned detective finds himself up against a city infested with corruption and economic uncertainty. And he discovers more about human nature than he ever wanted to know along the way. The game begins with opening credits, much like a movie, and it succeeds in putting you in the 1930s detective film mood that the team is going for. Then, after a brief opening scene, we jump back “less than twenty-four hours before” to see how we got to the events of the opening. From there, the plot never really becomes gripping (even though it sounds like it in the above official description). Dialogue is absolutely film noir style, so if you don’t like a main character giving you his inner monologue in an overwrought way, this won’t be for you – but if you love those detective movies and books, or keep in mind that it’s a style they’re going for (and emulating well), then it won’t bother you. The soundtrack might be the best part of the game. Smooth jazz with fantastic brass and piano would have been the norm during the time, so it was the logical choice to use for background and atmosphere. Voice acting was mediocre at best, and I found myself skipping most of it. It’s not bad, but it’s not good either. A character’s Irish accent is particularly rough (but not as bad as David Boreanaz’s as Angelus on Buffy and Angel). I was also expecting a more grizzled-sounding main character, as per standard film noir. 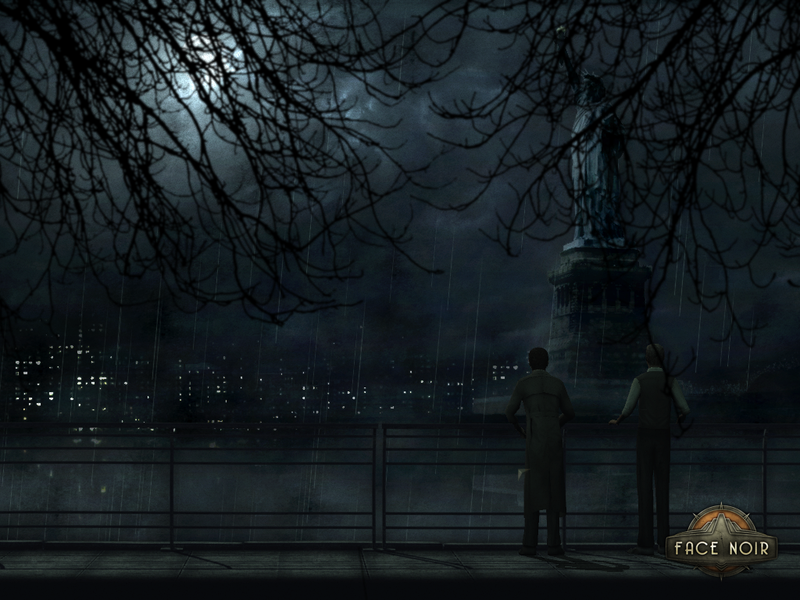 Graphics are extremely smooth, and the atmosphere is fantastically gloomy/rainy/noir. I didn’t notice any anomalies or glitching, walking animations were fluid, and the overall look of the game is polished. There’s a sepia tone applied over the whole thing, which contributes to the 1930s vibe. Reflections and lighting are also impressive. Characters are more realistic-looking than in, say, Cognition or Moebius (don’t get me wrong, I love the look of those games, but I think it would look more out of place here due to the setting). You get an extreme close-up of someone’s face while they are talking (like in Dragon Age or Mass Effect) – unfortunately, the lips don’t sync very well. There is also a lot of variety in camera angles, which kept the experience varied from a visual standpoint. Those angles, however, sometimes got in the way of gameplay due to things you needed to click being very small. Point-and-click standards apply here. Left click interacts and walks, right click cycles through the options you have with an object (look/use/pick up/talk). There are two ways to use your inventory: 2D mode and 3D mode. 2D puts your inventory at the top of the screen, while 3D allows you to look at objects up close. There is no hotspot finder, which I normally wouldn’t mind, but there were many times while playing the game that the thing I needed to find was only a few pixels high; coupled with the sepia overtone which made all colors pretty uniform, it makes for some frustrating gameplay at times. The game also prevents you from doing things before Jack knows that he needs to do them – e.g. I wanted to unlock a gate, but Jack wouldn’t until I’d done a whole bunch of prerequisites. On another occasion, Jack didn’t want to go down a dark alley, and then later I found out he LIVED down there…he just wouldn’t go that way until I’d done something else. Annoying. Another annoying thing about puzzles was that sometimes I would look at something and Jack would describe it, then I would use the same object and was able to gain what I was looking for – but Jack hadn’t mentioned anything about it when I looked at it, so I wouldn’t know to use the object. Also, they put a sneaking sequence into the game. I don’t mind a good sneak, but in a point-and-click adventure game, it felt really out of place. I also had to go back to the beginning of the scene every time I failed, complete with long dialogue exhange. Grrr. Sometimes you’ll be able to use your detective skills to connect two pieces of related information. When this happens, you have a floating word bank, which you select the two phrases from. This is the game’s way of making you use deductive reasoning, and this type of puzzle always made sense (as long as you paid attention to dialogue). Another interesting mechanic the game uses is direct control. This allows you to open a cabinet, pick a lock, and solve puzzles by moving your mouse in the way you would move your hand. I liked when I could open cabinets and flip switches this way, but the lockpicking mini-game was very annoying – you have to do it very quickly, but not too quickly because the tumblers won’t catch. Luckily, there was a skip button that came up after about thirty seconds of trying. 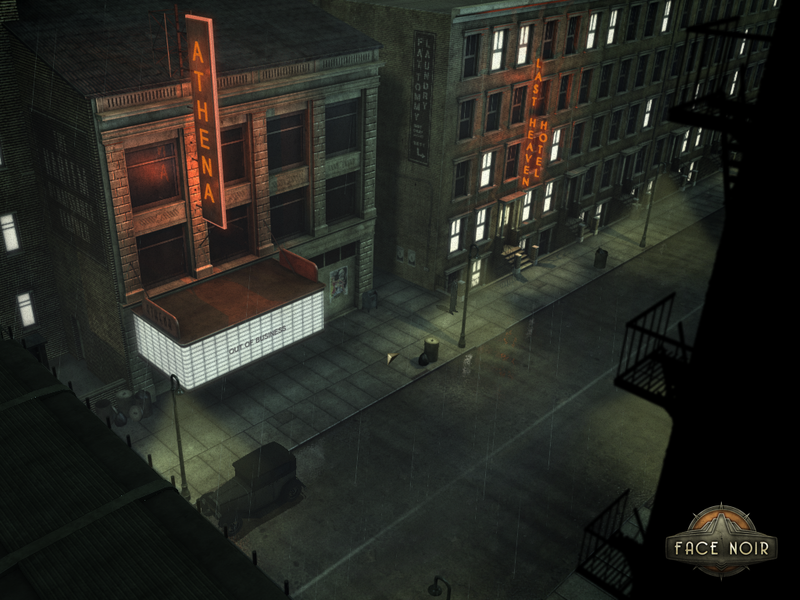 Face Noir has a fantastic atmosphere, smooth graphics, and a high-quality soundtrack. Unfortunately, gameplay annoyances and a dull story make the game fall flat. However, if you enjoy adventure games and the 1930s, you can’t go wrong with giving it a try. You can grab Face Noir by going here. Check out Phoenix Online Studios’s official site, like them on Facebook, follow them on Twitter and Pinterest, and subscribe to them on YouTube. You can also check out Mad Orange’s official site (Italian). Alexei – I am not sure what happened there; the link that we had may have expired, or a tragic copy/paste accident may have occurred. Thank you, we appreciate you letting us know!